Great Exuma is known to be the opposite of a tourist trap -- no cruise stops and no crowds. 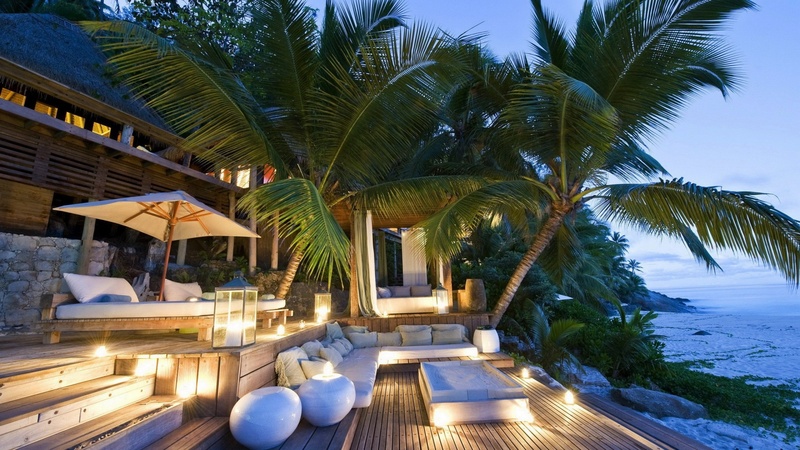 Its seclusion offers the chance to hide away on a pristine white-sand beach. Some days, you may be the only one sitting under a palm tree on a beautiful beach. But don not worry that you will get bored on the island. Adventure-seekers will be enticed by the endless number of activities available on Great Exuma: sailing, scuba diving, snorkeling and fishing, among others. The Exuma National Land and Sea Park, which encompasses much of the coastline, is accessible only by boat. One of the major natural wonders and sightseeing destinations of the Bahamas, the park has an abundance of undersea life, reefs, blue holes and shipwrecks. Geography Exuma is part of the chain of 365 islands that form the Bahamas. These islands stretch lazily across the Tropic of Cancer about 300 miles southeast of the coastal United States. Great Exuma, the largest of the Exuma islands is home to Georgetown, a charming Caribbean city that you must visit. Logistics Great Exuma is difficult to get to. American Airlines is the only carrier that offers single connection service. You might be thinking, “Okay, so if I even though I am visiting a beautiful location, won’t it get boring after awhile?” The short answer to that is, “No, it won’t!” Although the Exuma islands are relatively isolated and private, you are surrounded by a potential plethora of things to do while here. Fishing, sailing, kayaking, windsurfing, swimming, snorkeling, tennis, golf and exploring are just a FEW of the activities that you will have the opportunity to enjoy while at Great Exuma. Boating One of the distinguishing characteristics of Exuma is that it has some of the best boating in the world. There is a very active boating community here. Because much of the north shore is sheltered from the open sea by Stocking Island, even beginner boaters can give it a try. Besides sailing, this is also a great place to windsurf or kayak. Being surrounded by over 360 islands means that you will not run out of places to sail to. Bone fishing Bonefishing is one of the unique sports practised in the Bahamas. Using fly-fishing techniques and sand flats as a location, you attempt to catch the elusive, yet beautiful, “Bonefish”. Many people like to go out in boats to attempt to make their catch, while other anglers prefer to wade out to the flats to fish. Although “Flats fishing” (i.e. : fishing in a shallow area) is considered to be quite technical, with the right guide and equipment, even a beginner fisherman (or woman! Or child!) can enjoy the thrill of the catch! Golf Sandals Emerald Bay Golf Club is a championship 18-hole course designed by golf legend, Greg Norman. Set to become one of the world's greatest ocean-side clubs, the course uses an environmentally friendly seashore paspalum grass, which offers a lush, deep green canopy. Nestled in a series of dramatic fairways along the oceanfront that wind through seaside dunes, the course finishes on a rocky peninsula with a spectacular view of the ocean. Six signature holes hug the perimeter of Emerald Bay's scenic peninsula, providing unparalleled vistas along its turquoise waters.